Before leaving for Paris, I read numerous travel guides, and pored over maps of the arrondissements and the metro. I made lists of what I wanted to see most, and planned out what I could see on which days to limit travel time and maximize fun. But then I got to Paris and stumbled into Colette, one of the weirdest stores I have ever been in. With booming music, people everywhere, and a host of random products with no concrete theme, it was unlike any store I had seen. From Hello Kitty Polaroid cameras, to a wall of magazines I had never heard of, to office supplies, to clothes, to candy and keychains, Colette had it all. Finding my comfort zone in the notebook and stationary section, I came across the book This is my Paris by Marie Bashkirtseff, with text and compilation by Petra de Hamer. 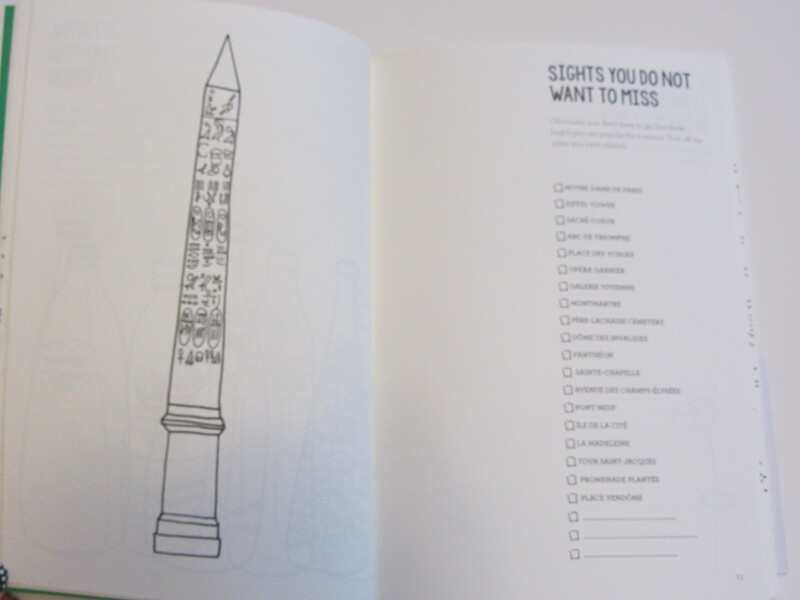 Along the lines of the Wreck my Journal concept, this book is touted as a “travel diary, activity book, and city guide in one”. 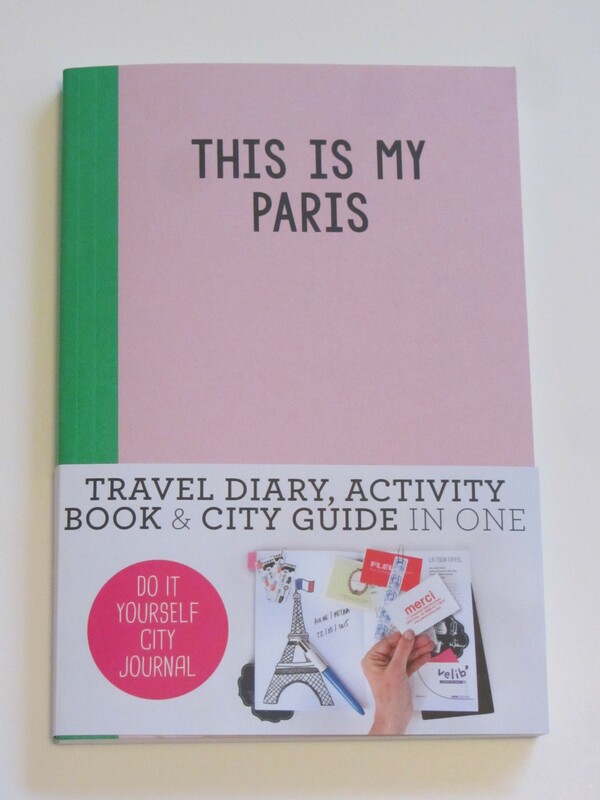 It has everything from beautiful and quirky illustrations of Paris’s sights, to lists of must-see stores and restaurants, to blank pages for lists of things to see and do, to pages to tape business cards and tickets, and even pages of recipes for classic French foods and beverages. Essentially this book provides the framework of a trip scrapbook; all you have to do is add in whatever you want. I saved up everything from my trip in a manilla envelope, and now that I’m home, I will be filling it all out and taping everything in. I would recommend purchasing this book before leaving for Paris though, because some pages are meant for pre-trip planning. On these ones, I am going to attach all of my lists, but it would have been nice to list things directly in the book. If this type of books is interesting to you, there is also a This is my Berlin book, and possibly more. So here’s a question for you: how do you document your travels?? ?